The Buffalo State community will honor campus veterans with the 10th annual Veterans Day Silent March Thursday, November 8. Marchers, including include past and present service members, their spouses and dependents, and first responders, will assemble at 11:45 a.m. at Chase Hall. 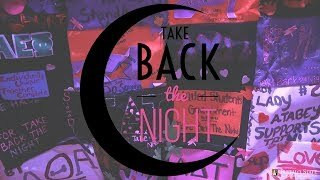 The march will proceed to the Student Union Plaza at noon, where a ceremony will begin at 12:10 p.m. Speakers for the event include Brad Baumgardner, coordinator of Military and Veterans Services, and Margaret Shaw-Burnett, associate vice president for Continuing Professional Studies. A reception will follow the ceremony in the Bulger Communication Center lobby. 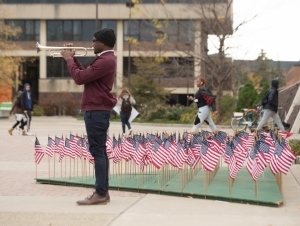 Baumgardner said the service is a way to say “thank you” to veterans on campus. “They’ve sacrificed so we can lead the lives we do every day,” he said.